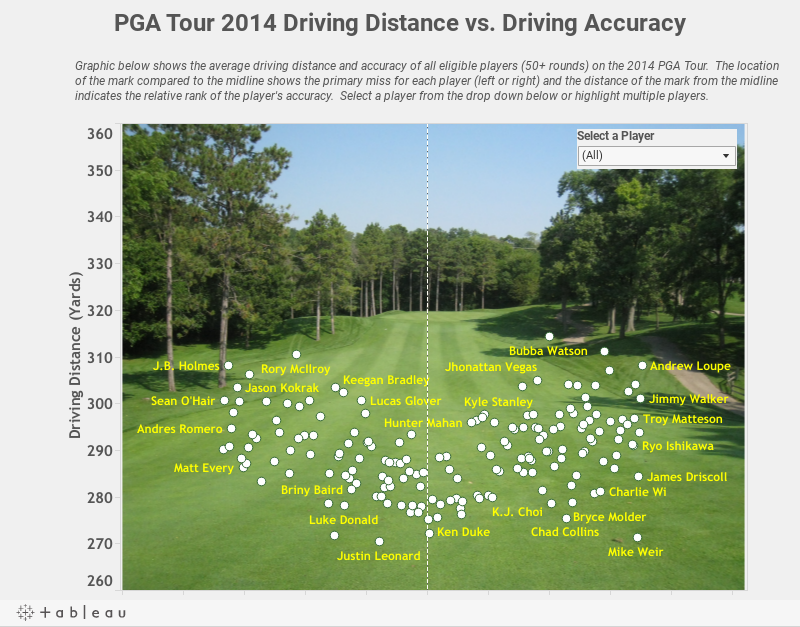 For this viz I wanted to compare driving accuracy with driving distance on the PGA Tour. I could have done a normal scatter plot with each measure on an axis and add a trend line, but I wanted something different. 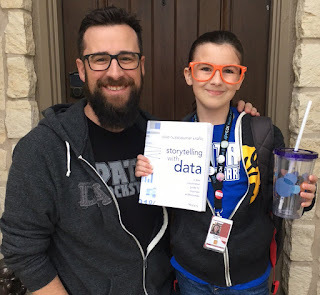 In my dataset I not only had accuracy, I also had the percentage of misses left and right. I wanted to try and figure out a way to visualize that as well. As players hit it farther on average they move farther away from the center line, whereas the shorter hitters tend to be more in the middle of the fairway. The distribution pattern looks similar to the letter 'V' or 'U'. The biggest outlier appears to be Mike Weir, who at this point in his career is a pretty poor driver of the ball. He ranked 172nd in accuracy and 176th is distance.